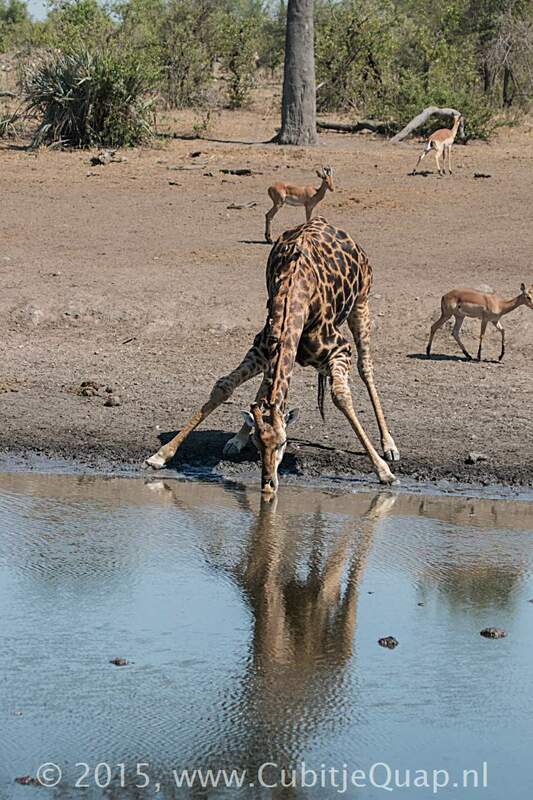 Giraffes do not drink often, but when they do, they have to either splay their forelegs to the side or bend their knees. 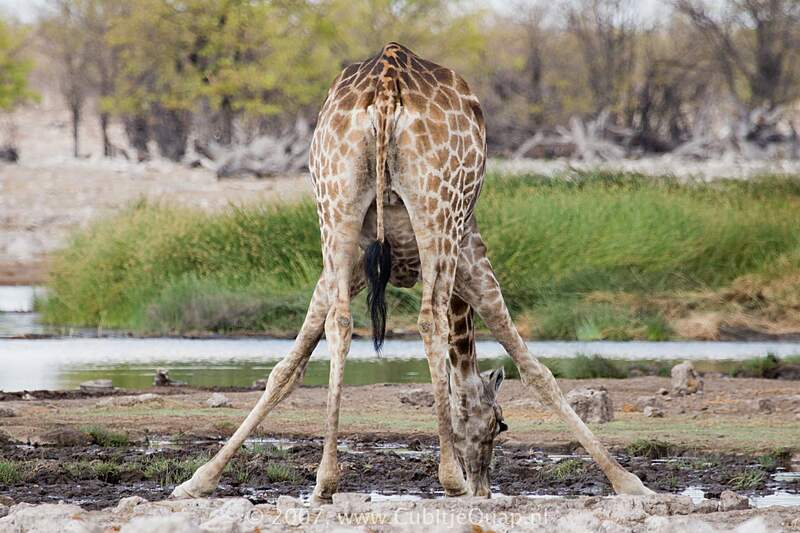 Both procedures take time and are awkward for the giraffe. 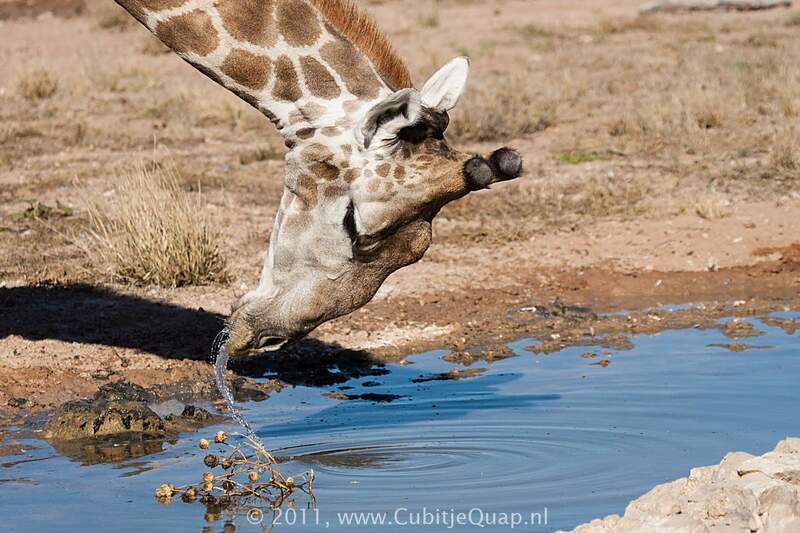 But only in this way can it get the tip of its mouth down to the surface of the water. 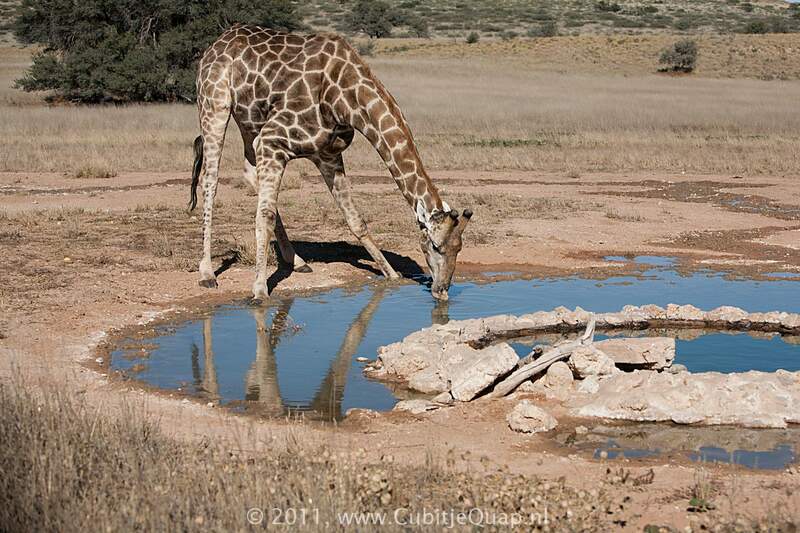 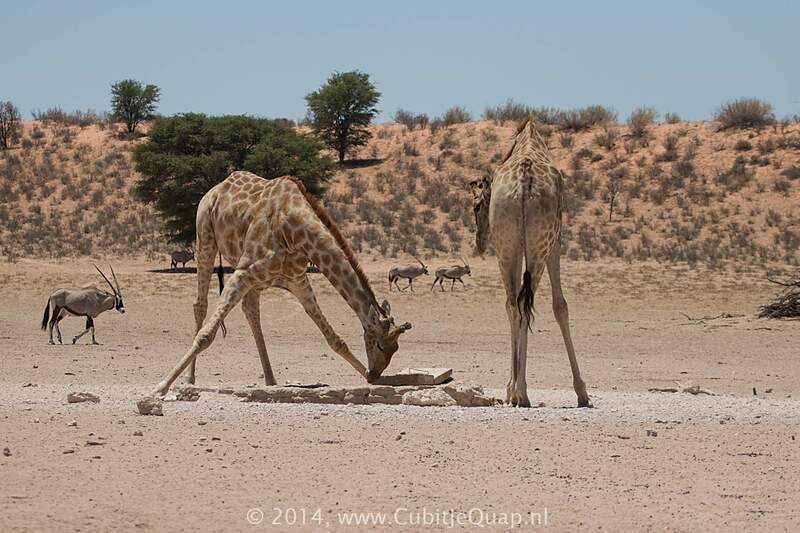 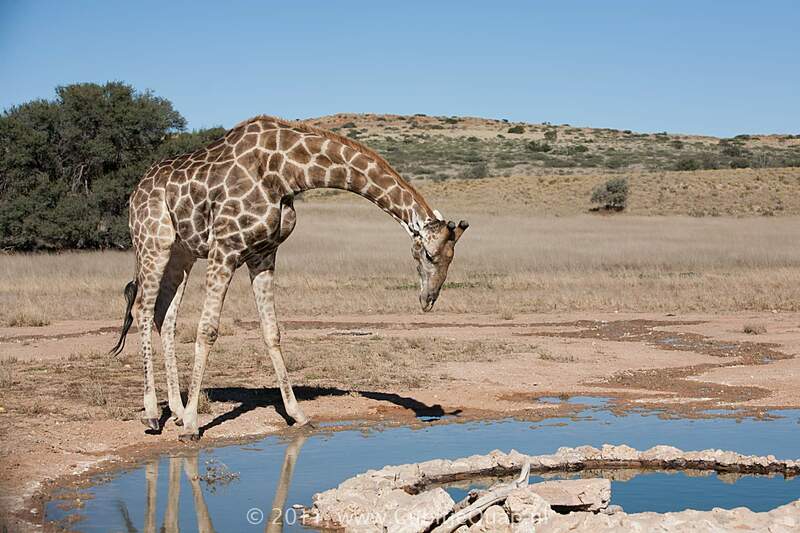 Giraffes are very cautious at waterholes. 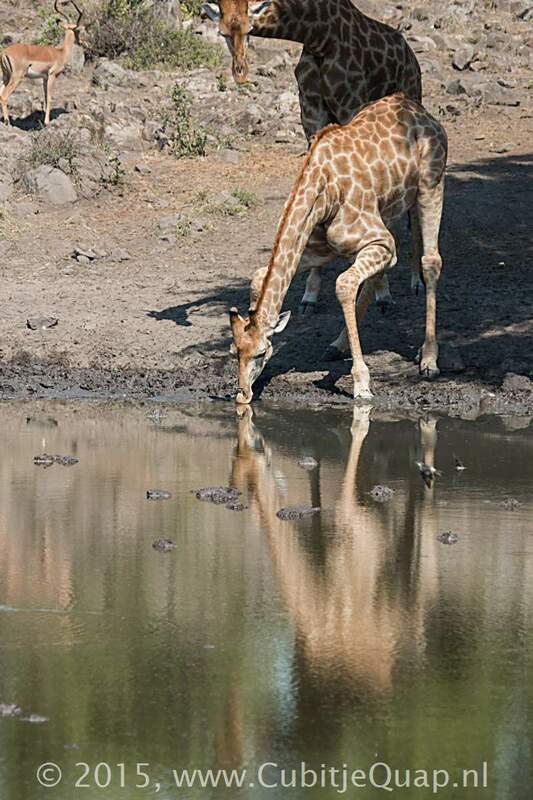 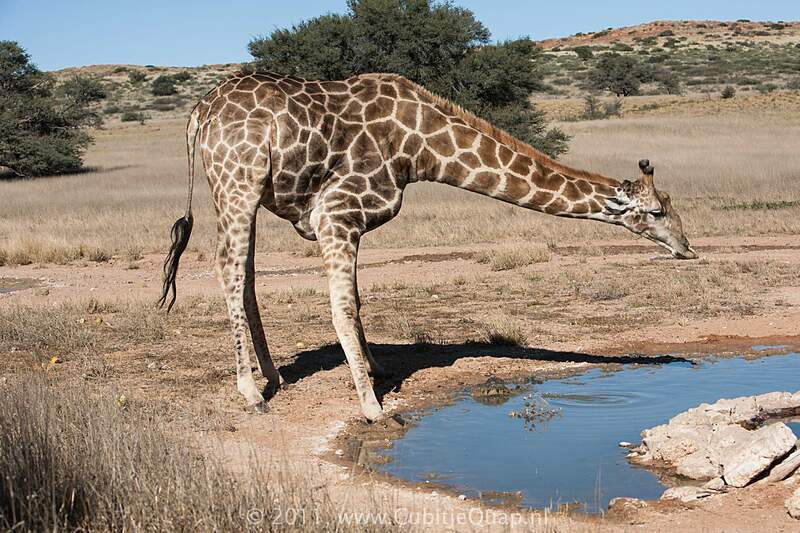 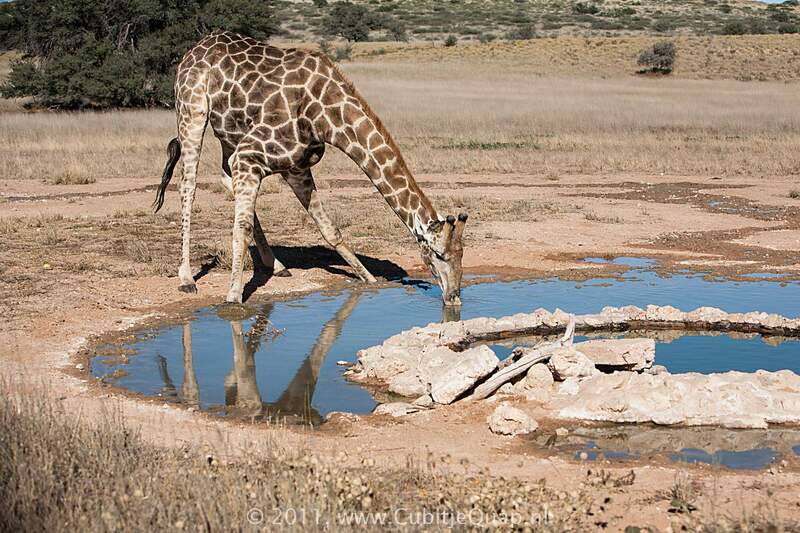 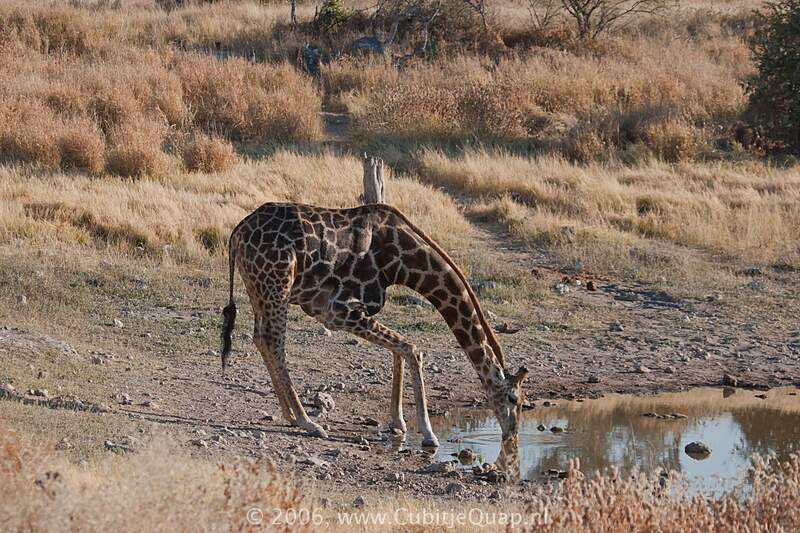 While bending down to drink, giraffes cannot see enemies that can be coming up on them from behind. 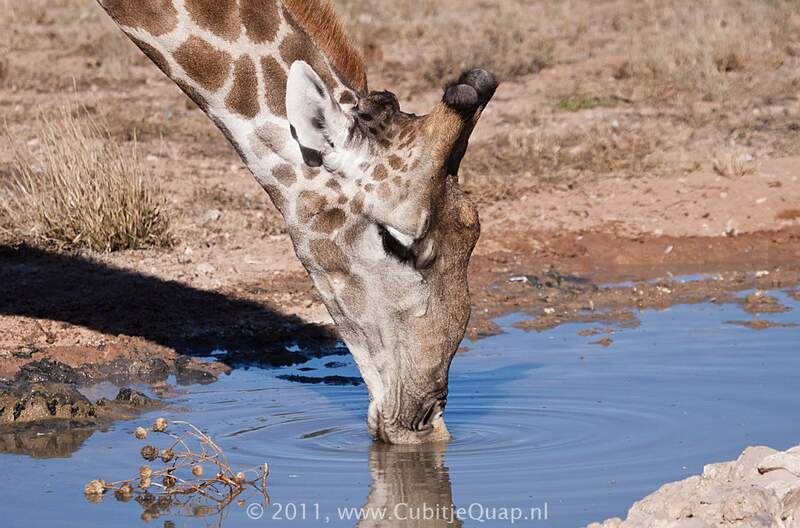 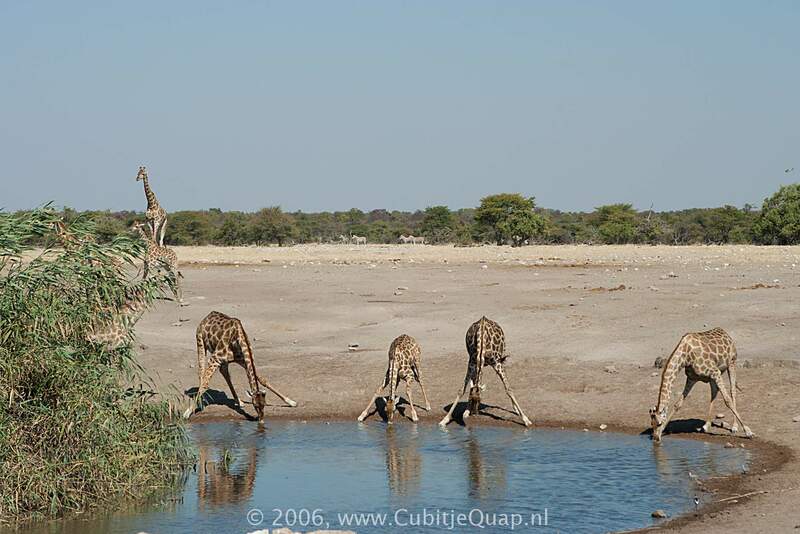 Often, giraffes go to a waterhole in a group. 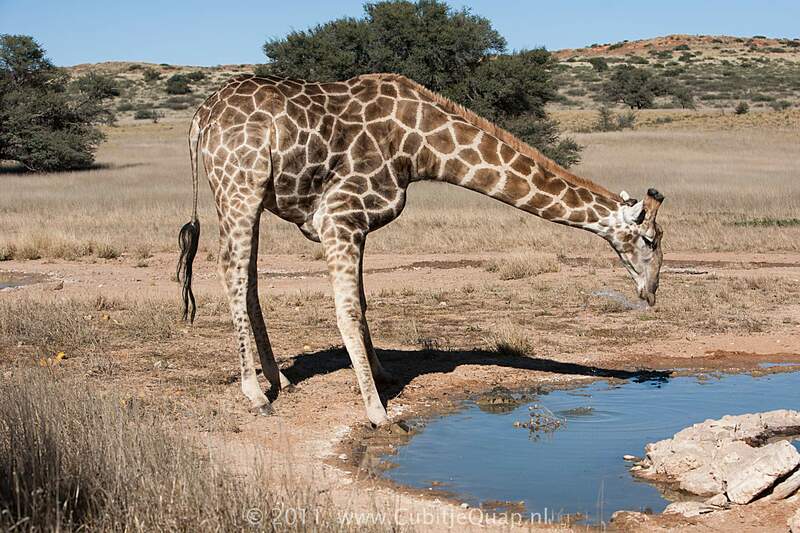 Several giraffes stay on guard while the others drink.